What’s the deal with dams in Chilean Patagonia? 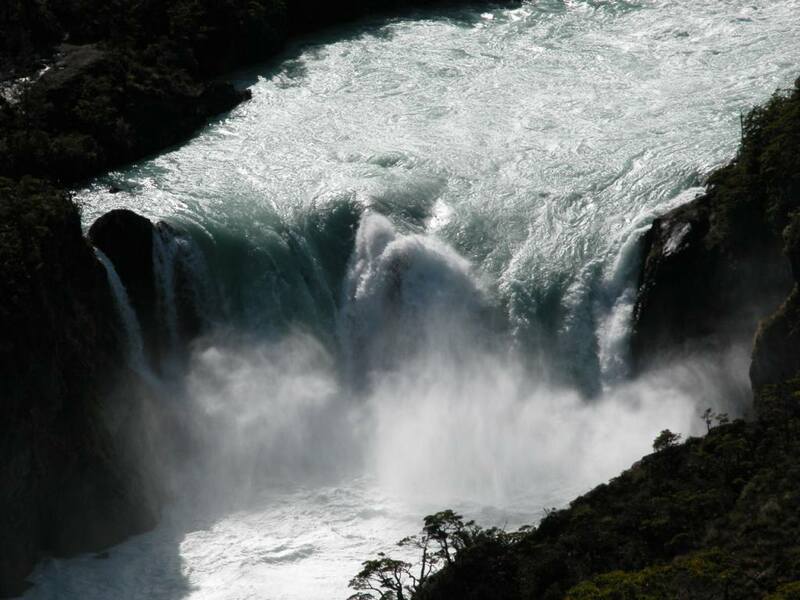 The Chilean government recently approved a mega-dam complex to be built in Chilean Patagonia. The project will have a number of important environmental impacts, but it is also the reflection of a ‘development model’ that concentrates power and wealth in a few hands. Historical rallies and civil society actions have been taking place all over the country against this government decision. Please support our cause saying NO to the dams in Chilean Patagonia. Verdeseo wants to engage and inform about what is currently happening in Chile in the context of the recent approval of the HidroAysén mega hydroelectric project. The project consists of building 5 dams in the Aysén Region of Chile. Although the proponents of the project have tried by all means to convince Chileans that it is necessary -because Chile needs energy to feed economic growth and become a ‘developed’ country-, it is known that the energy is not needed and actually not for household consumption. The energy is for mining companies located in the north of country, whereas many of them are transnational corporations that usually do not leaving anything in the country but pollution and conflicts with local communities. There is a large amount of information that makes clear that this decision was politically informed and previous to any real environmental assessment. Pressure from electricy generation companies behind the project (Endesa and Colbún), as well as business elites, made public services to change their critical observations to the project. They approved a not only controversial project, but also a cynic project that separated the 5 dams from the transmission line (that would also be the longest transmission line in the world, travelling more than 2.000 km to bring the electricity from Aysén to the central -Santiago- and northern regions of the country -where mining companies are located). The project will change a unique culture, way of life and nature forever. It will also mean that the concentration of wealth and economic power of only two companies (Endesa and Colbún) will be dramatically increased. In Chile there is no energy policy, whereas it is supposed to be dictated only by ‘market rules’, with the government only playing a marginal role. This is the legacy of the Political Constitution established under the undemocratic rule of General Pinochet. 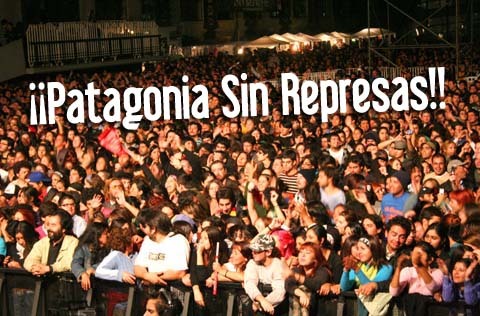 This is why a citizen coalition was formed (Patagonia Sin Represas) to organize a campaign against this project. Different polls indicate that the majority of Chileans do not want HidroAysén (more than 60% oppose the project). After the approval of the project on the 9th May 2011, more than 80.000 people went to the streets of Santiago (and of many cities along the country) to protest. These are historic events; an environmental controversy has opened the door for a wider outcry for more democracy, participation and transparency. Below you will find more information about this project and the reasons regarding why this is not a good project for Chile. We have also attached a letter that Chileans living in Melbourne sent to their authorities. You can also be part of this movement by writing to our authorities and showing your support. 1. A PDF document that contains a brief factsheet that explains the conflict HERE. – Maps of the proposed sites for the 5 dams. We are a group of Chileans living in Melbourne. Through this letter we express our discontent and rejection to the approval of the HidroAysén Project. Our position is based in: the inadequate Environmental Impact Assessment, the social and ecological impacts of this project at the local and national levels; and above all, the short-run based development and energy policy model existing in Chile. The HidroAysén Project presents serious faults in the evaluation, mitigation and compensation of the impacts to aquatic and terrestrial biodiversity, hydrogeology, national parks and local communities’ rights violations, to just mention some. Questionings about these issues have been expressed in multiple occasions by competent organisms, be they public services, non-governmental organizations or scholars from different disciplines. For instance, it is absurd that the five planned dams are evaluated in an independent process and before the transmission line that will travel 2,300 km from Cochrane to Santiago. This demonstrates a non-existent integral vision of our national territory and of the synergic effects that a project of this magnitude could have. We do not understand how our Environmental Evaluation System allows these kinds of processes, without demanding the project to be evaluated in its totality. The latter is the reflection of a deficient institutional set up and a non-appropriate environmental legislation, which does not adjust to our country’s reality. An example of the deficient environmental impact assessment is the affirmation that the 2,000 workers will remain in camps, without generating positive or negative impacts in neighbouring communities. Experience with minor dams construction, such as the Ancoa or La Paloma dams, show that this is not the case. In addition, collective negotiation in the affected communities was not allowed, and it is not specified where they will be relocated. More serious is that the project did not incorporate any of the almost 11,000 observations that citizens presented to the correspondent institutional instance. The latter demonstrates that the existing environmental legislation does not allow for effective public participation and engagement in the Environmental Impact Assessment process. The lack of dialog and of real participation denied any possibility of consensus-building processes and modifications in order to generate a socially acceptable project. The latter is reflected in that more than 50% of the Chilean population rejects the project. When it is estimated that in order to sustain our current life style we need more than two planets Earth, than it seem not logic that Chile insists in a development model that it is not viable in the long run. Chilean Patagonia is more than a natural resource, is part of our natural and cultural heritage. It is one of the few ecosystems in the country that has not been significantly perturbed. In there, innumerable endemic species inhabit, which in addition to their intrinsic value, maintain the ecological stability in the region, and why not, in the Earth. The Patagonia is the natural habitat of Chilean emblem species; it sustains a culture with traditions and values that deserve to be preserved. This is more than our heritage; it is also the heritage of our children and grandchildren. That is why we ask our authorities to reconsider these decisions that an important part of the citizenry disapprove. Many of the ones signing this letter are postgraduate students (some recipients of Chilean Scholarships Program Becas Chile) from various disciplines. Our studies and experience demonstrate that other development and management models for our natural resources are possible. In order to achieve a sustainable development we require uncoupling the economic growth from the energetic demand of the country. This can be achieved with a long run energy strategy that promotes efficiency and non-polluting renewable energies. A probe that HidroAysén does not respond to a long run policy is that the last 3rd of May the Minister for Energy announced the establishment of an Advisory Committee for the Energetic Development. Chilean energy development must respond to a country strategy; it cannot be exposed to the swings of the market or to the private profit interests. Beyond the approval of certain dam or thermoelectric plant, the relevant question is: what is the country that we want to build and inherit to the future generations? We aspire to develop our country in a sustainable way. This requires an energy policy accordingly. That is why we ask to our representatives, to our authorities, to search for innovative solutions that take into consideration the long run, and reconciles the social and ecological needs of Chile.